Oppo just joined the Wireless Power Consortium, which in turn means that future Oppo devices could finally support the Qi wireless charging tech. Maybe as early as 2019? And since Oppo, vivo and OnePlus are sister companies, it's probably safe to assume that their future smartphones will come with wireless charging capabilities. This is often the case with Oppo and OnePlus - when Oppo adopts some kind of tech, OnePlus follows with its next flagship devices. 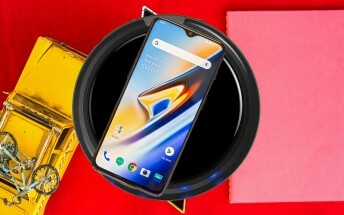 Perhaps the OnePlus 7 won't have Qi wireless charging since the phone has already entered development and it's too late for it, but OnePlus 7T might surprise us. Oppo Find X's successor is probably also on the list of devices that will get the functionality this year.